Agree, I need numerous light sources to cover all the bases. I`ve had light holograms that were only visible for a few minutes a day in natural sunlight; couldn`t see `em any other way, nor could my wife. But we did see them for that brief window....took forever to do that one. Alright, I have found the ultimate swirl finder light....and I`ve had it since last October and forgot all about it! I call him mini me! I bought a knock-off Scangrip and was a bit disappointed. Just for fun I stuck it to some metal in my garage about 6-8 feet from my car because it has a magnetized base. All of a sudden I could see everything. All of the swirls and defects. I guess if you`re like me and just trying to figure this detection thing out, try setting the lighting a little further away. That is why most European and Asian shops went to dark walls. It keeps the lights from washing out defects.we did this at our shop and it makes a world of difference. The walls at the brand new Rupes USA facility are black in the garage part. They just opened this facility back in January. Then they had a bay that looked like a spray booth without doors. It had white walls , and lit to the hilt. Yes indeed Varying the illumination/viewing angle and distance is a major factor all right. I bet you`ll find the inspection a lot less frustrating now, even if you do spend lots of time working on all those variations to find what`s just right. A tips if you have problems to see defects or there are suposed to be non. Take your mobile phone camera with the lighning setting on. Hold the about a feet away or closer and snap a picture. This has worked really great for me. But not so convinient while you correct the paint LOL. It`s a hassel to get the right angle when takeing pictures when the Sunmatch lights up the defects. Any tips on how you get great pictures when you use the Sunmatch light are welcome. I polished and coated my car yesterday with these new lighting tips. I felt that it went very well. My car looks so much better than it ever has. I`m really happy with it. The lighting wasn`t working well last night in my garage. And today my car got rained on. I`ll see how it looks later today. I also coated the trim on the side of my car, which I think made a tremendous difference. I need to learn how to clean my wheels wells. ..I also coated the trim on the side of my car, which I think made a tremendous difference. I need to learn how to clean my wheels wells. Yeah, having the trim treated oughta make it easier than having to redo it all the time. For the wells, IMO it`s best to jack the car up enough that you can really get in there. *I* would pull the wheel in each well and go all Autopian-overboard at least the first time, but just having it up high enough to gain access oughta make all the difference. Once those surfaces are clean/smooth/LSPed it`s easy to keep them nice. 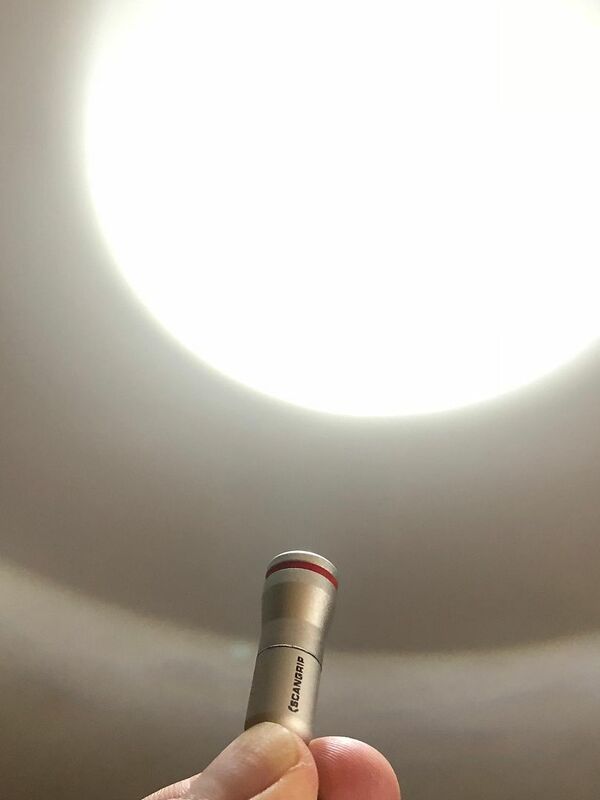 LED flashlight for swirl detection? inspection of paint... am i doing anything wrong?